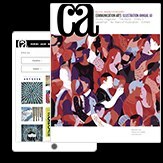 The varied color palette and nuanced technical features convey the engaging quirkiness of this New Orleans–based agency’s new site. 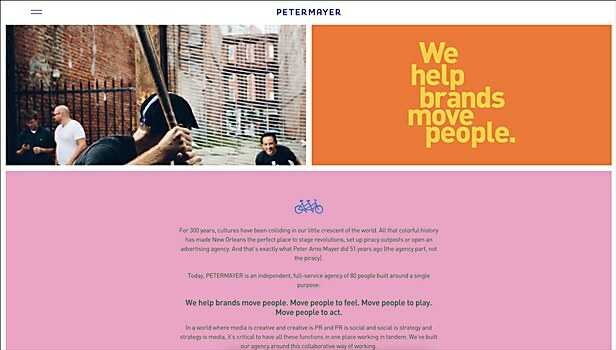 Background: The site is built around the agency’s positioning: we help brands move people. It showcases the tandem bike icon, which symbolizes how we work internally and with clients, our belief that we are “better together” and that creating great ideas is a team sport. The tandem bike is also a symbol of the simple joys in life, which we feel every day in our HQ location of New Orleans. And, we wanted to convey the engaging quirkiness of our agency. 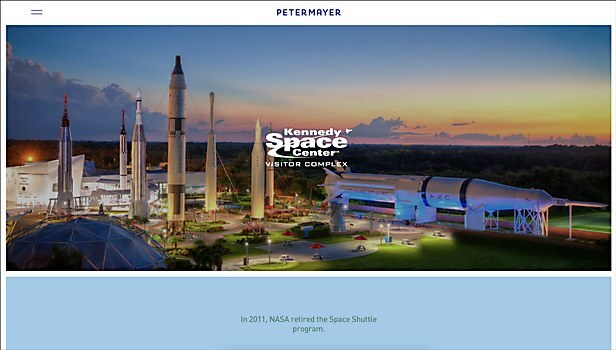 When you ask current staff or clients what’s so great about Peter Mayer, they always come back to the ideas and the people; so, the site celebrates and explores both. 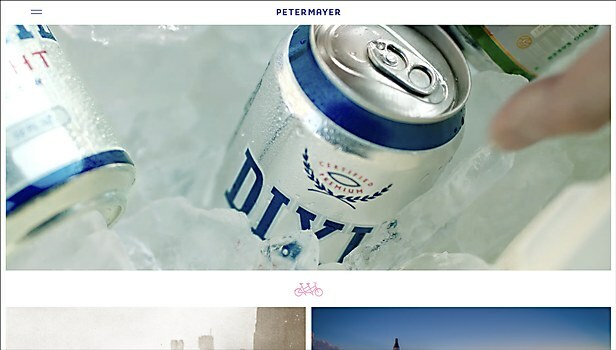 Highlights: Using our analytics and research into marketing director and CMO interests, we built a site that emphasizes the creative product and results in an easily consumable way. We’re thrilled that our clients have reviewed and vetted all of their own content and approved the publishing of their results. Sometimes, prospective clients are skeptical about whether agencies really produced the results they claimed, and we wanted to eliminate that feeling. Challenges: Agencies are often the cobbler’s children, with much worse marketing than what they create for clients. We set out to treat our company as a critical client. That additional time, sweat equity and love, on top of all our client work, are the thing that was most challenging, and that we are the most proud of. Favorite details: Design-wise, the site shows off the agency’s new varied color palette without overwhelming the site content. We’re also proud of the nuances in hover and transition states throughout the experience, which also enhance the experience without interfering with the content. The site is Hubspot enabled, so we can continue to optimize based on user insights. Time constraints: Like any site, you have to know when to release v1. We wanted to launch our brand coincident with a major release of intellectual property and new campaigns. This meant delaying build-outs of certain sections, and only launching with the most critical case studies and leadership-level information. We’ll be building even more, but the bones of the site are stable, so we can just concentrate on adding content. 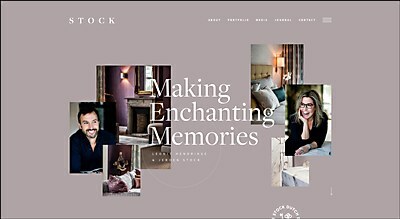 Anything new: When creating an agency site, focus is hard to come by, but so critical. Every element must ladder up to our positioning so the site has a singular takeaway. And, the devil is in the details. As much as high-level focus is important, the site can really come to life in the smallest things. Reading the site as a prospect would is challenging but foundational. 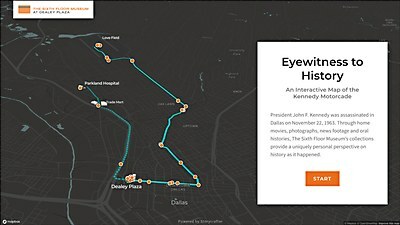 Users can follow the assassination of John F. Kennedy in this interactive map of the Kennedy Motorcade for the Sixth Floor Museum at Dealey Plaza. 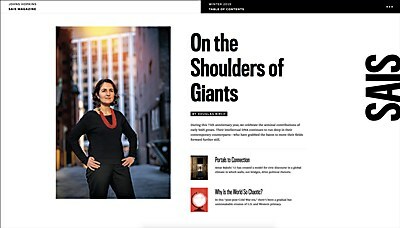 The digital counterpart to Johns Hopkins University School of Advanced International Studies’s print alumni publication reaches the far-flung alumni of the program. Pastel colors seamlessly blend with enchanting patterns in Exo Ape’s new site for this Dutch interior design firm.